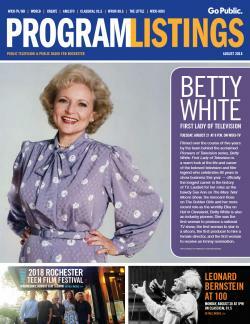 Read the program listings featuring the month's highlights for WXXI TV and Radio on your desktop or mobile device. Now there are two ways to read your program listings. To DOWNLOAD as a PDF, click on the attachment link below. You can print the listings from your computer. Please note that to keep the PDF permanently on your computer, you may need to secondary-click (often a right click on a PC or a control-click on a Mac) and select the option to save/download the link. Also, feel free to add your comments below about this month's guide! PBS KIDS - What's On?